• He sires calves with light birth weights and explosive performance. 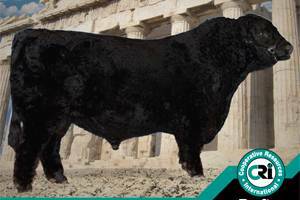 • Pericles is a bull that will do it all. He is free moving, wide based and extremely long. • If you need to correct structural problems, Pericles is the bull for you!